A community so welcoming, you’ll feel at home. 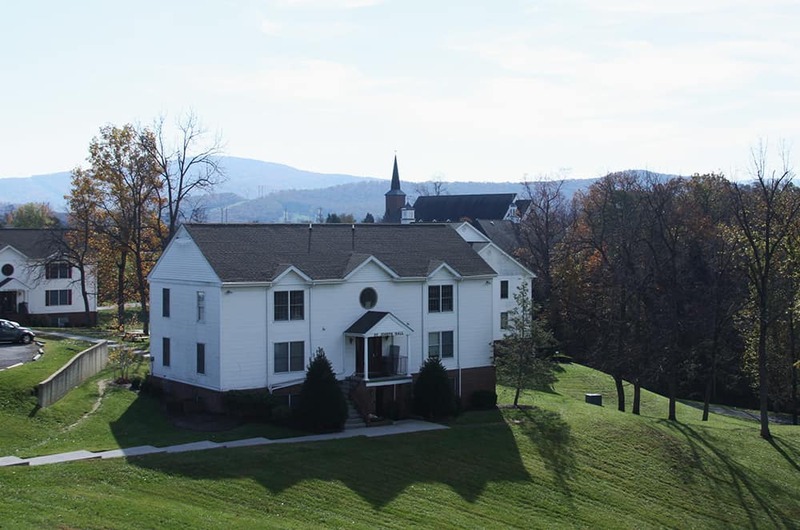 Overlooking the beautiful Shenandoah River, Christendom College’s 120 acre campus is home to approximately 90% of the student body over the course of their four-year enrollment. The rural landscape of the Shenandoah Valley provides the students with a serene setting for study, reflection, and communal Christian living. Each residence hall has representatives from each class for the sake of student formation. The campus promotes communal Christian living where the upperclassmen have care of the underclassmen, fostering their growth and maturation by developing relationships and leading by the example of their daily living. Each hall has at least one resident assistant whose primary responsibilities include the personal formation, safety, and security of his or her residents. The majority of rooms are spacious 3 person rooms (180-208 sq. ft.). St. Francis of Assisi, St. Joseph and St. Columba Halls are equipped with full personal bathrooms as well as wall to wall carpeting in each of the rooms. St. Benedict’s Hall is the largest on Guys’ side. It houses 75 men and sports three common areas for student socializing, studying, and formation events. St. Dominic, St. Pius, St. Teresa, and St. Augustine Halls are smaller in capacity which facilitates a smaller community life. They each have the unique amenities of a full kitchen for those students with special needs. St. Clare Hall, the largest of the women’s residence halls, houses over 98 women on two floors. It features spacious suites, common rooms, elevator access to each floor, a kitchenette, and more. St. Edmund Campion Hall houses over 75 women on three floors. The spacious common rooms on first and main floor provide the women with a comfortable place to hang out, a venue for formation programs, etc. The first floor even has a movie room for the women. 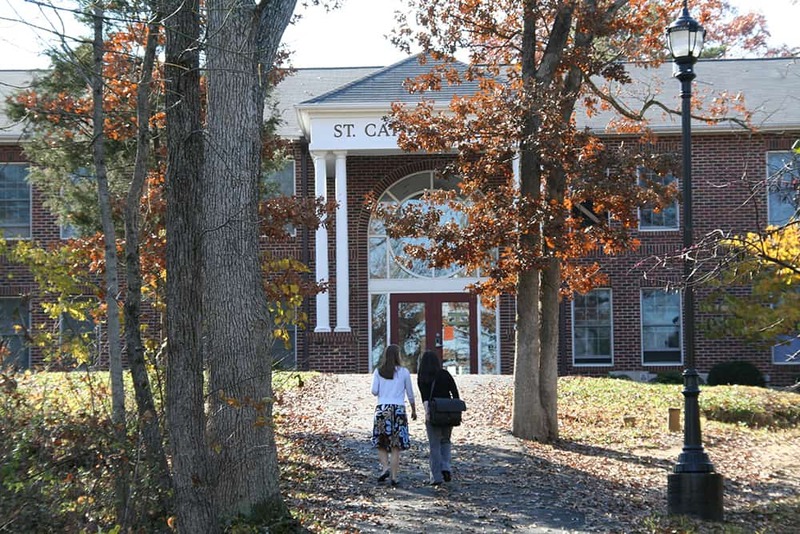 St. Catherine of Siena Hall houses 83 women. While women share common bathrooms, each room has a vanity sink. Each floor has a common area for student socializing, studying, and formation events.